Dance is special as it combines tactile and creative learning. Dance Class Should be About Learning! Dance is special as it combines tactile and creative learning. It demands the use of four of our five senses, and it encourages problem solving and self-expression. 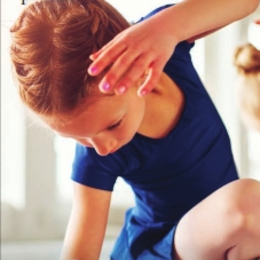 A great dance teacher works from an organized, long-term lesson plan (syllabus) designed to develop a child’s abilities throughout the school year. Dancing can be a way to stay f it for people of all ages, shapes and sizes. The instructors at CORE make sure the kids are always safe from the first minute they step into class. Dance has a wide range of physical and mental benefits including improved cardiovascular and muscular strength, endurance a nd gross motor skills and injury prevention. Students of CORE are taught that respect for the art form and their classmates and teachers is shown through personal responsibility. Everyone is expected to show up on time, in proper dre ss code and prepared for class or performance. Dance build s life skills and is an excellent avenue for developing character. Effort, pra ctice and perseverance go into mastering new skills. A performance demands excellence, develops confidence and demonstrates commitment. Creative dance encourages each student to find and express his or her unique ness. A dance class should feel like a safe place to be yourself. In a dance class, students learn to lead and follow, cooperation and r especting others and creating friendships that will last a lifetime. Your child should be happy going to and coming f rom dance class. “The dancers should benefit by taking what they learn from class to other aspects in their lives ... that’s what this who le experience should be about,” says Augustyn Smith. ?